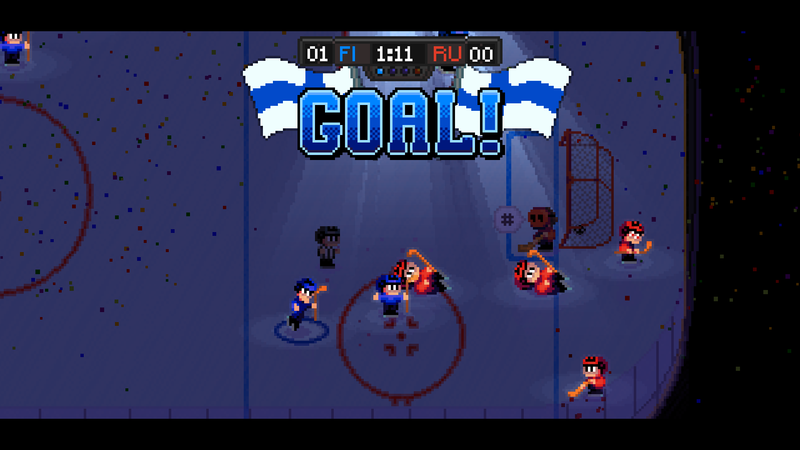 Relive the golden age of arcade sports gaming with Super Blood Hockey -- A violent homage to classic 8-bit and 16-bit ice hockey games. Developed by Loren Lemcke. Music by Shawn Daley. 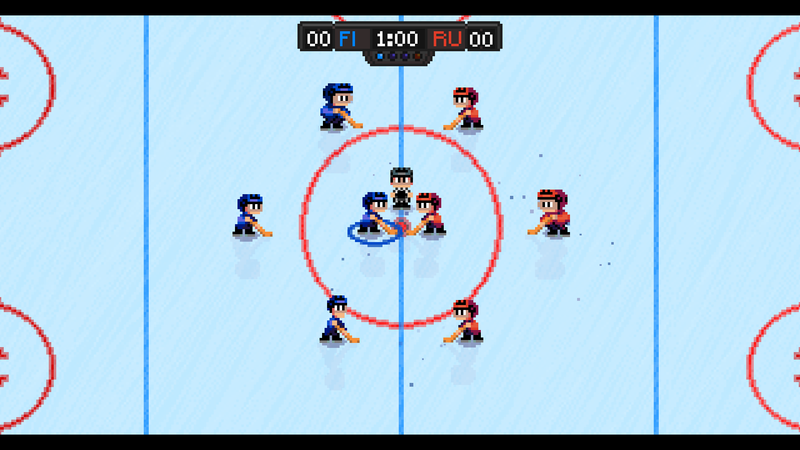 ARCADE-STYLE HOCKEY ACTION! 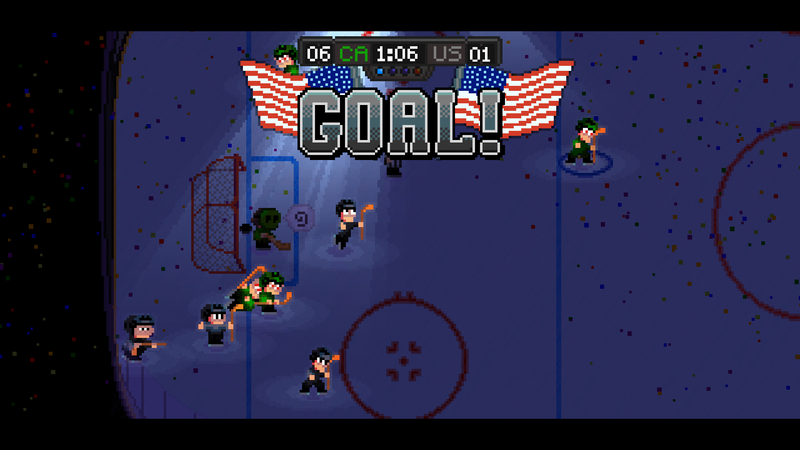 Travel back to a time when sports games were all about the action. 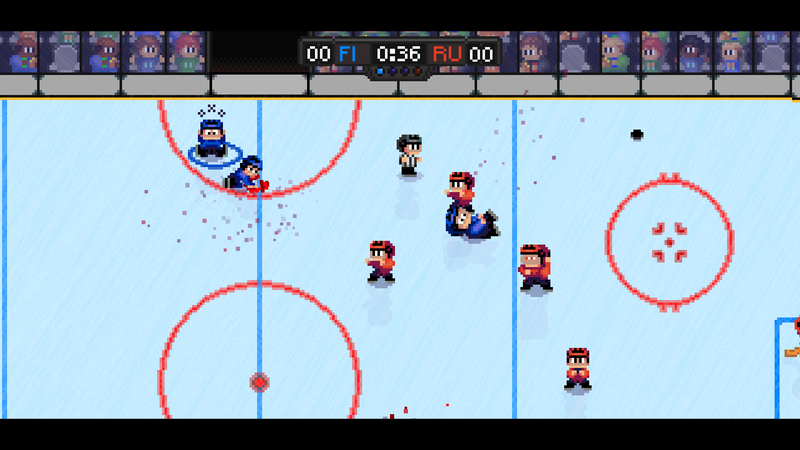 Customize your lineup and use superior skating, positioning, strategy and violence to assert your dominance on the ice. CRUNCHY RETRO PIXELATED GORE! 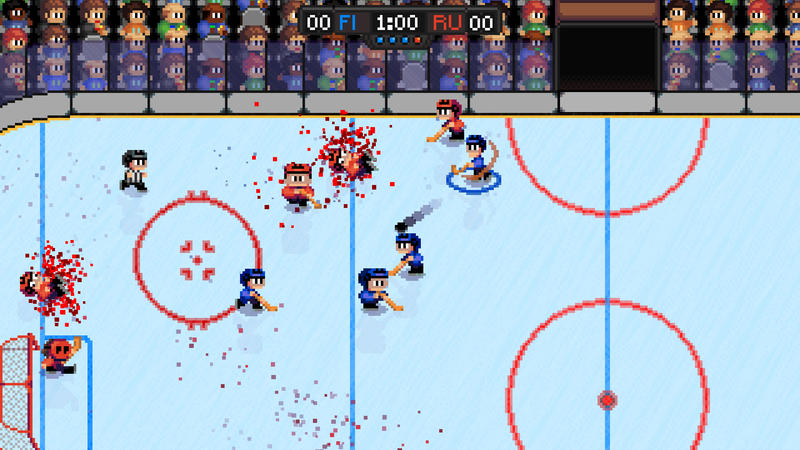 Experience brutality on ice like you've never witnessed before: blood splattering collisions, brain-scrambling head injuries, bloody vomiting spells and violent seizures. MIND MELTING CHIPTUNE SOUNDTRACK! Enjoy the driving retro beats of an original soundtrack by chiptunist Shawn Daley. 4-PLAYER LOCAL MULTIPLAYER! 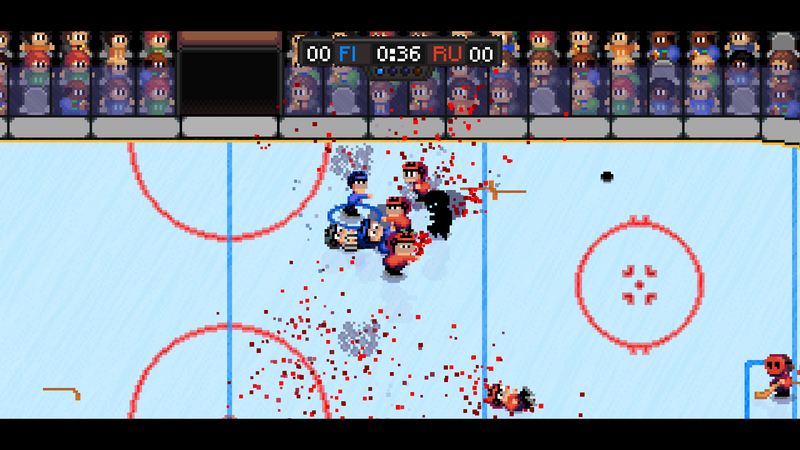 Paint the ice with the blood of your friends! GLOBAL SHOWDOWN! 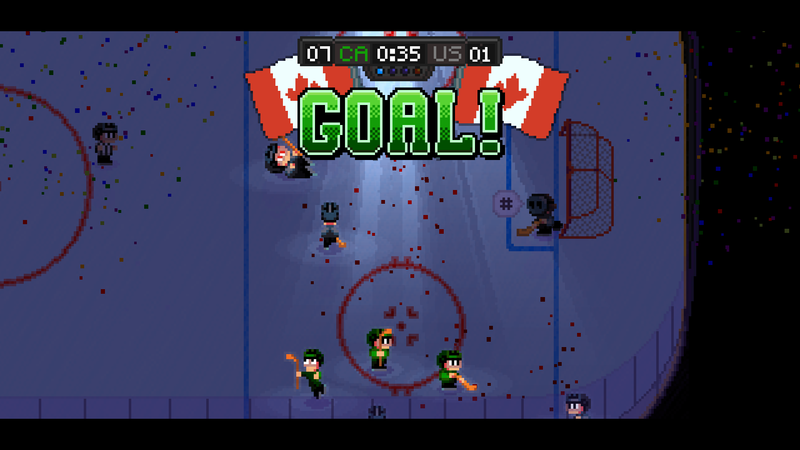 Take on the world in a global ice hockey tournament. Failure to secure victory for your nation could result in your execution. CHALLENGE MODE! 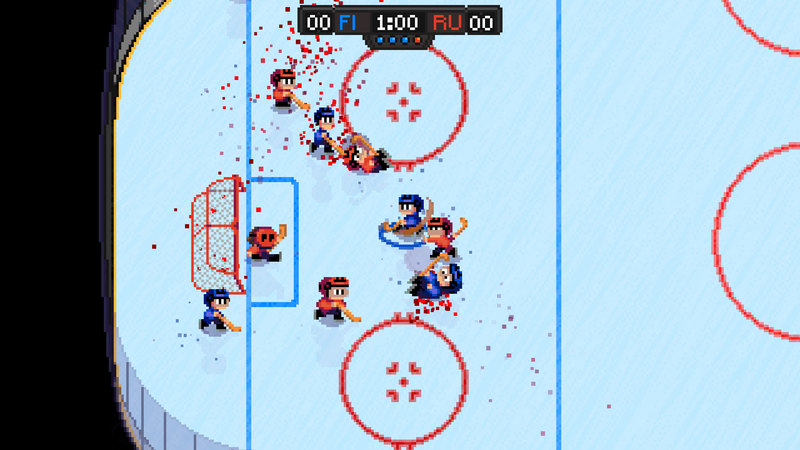 Conquer a variety of difficult challenges (4 vs. 8, manual goalie control, etc.) and fun scenarios (12 vs 12 Mega Rumble, Turbo Mode, etc.). CONTINUED DEVELOPMENT! The release is not the end! 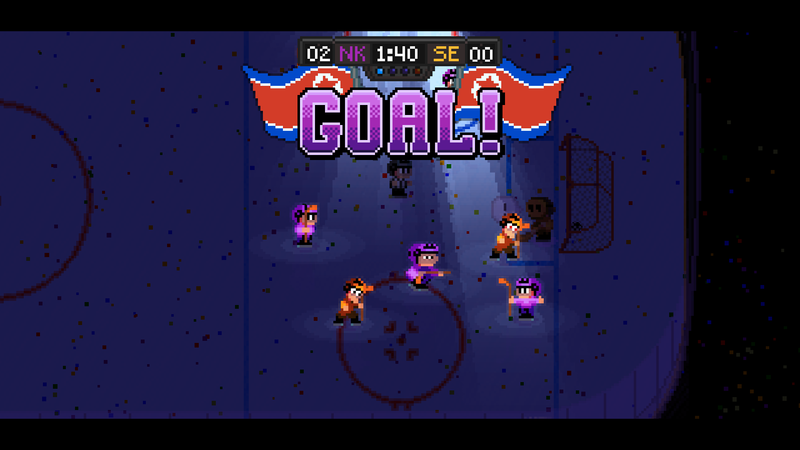 Voice your opinion in the discussion forum and tell me what else you would like to see in the game!